It’s official! 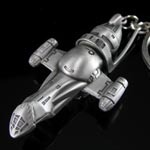 Our first product under our new Firefly license is indeed shiny: The Firefly Replica Keychain will be available by the end of March for $9.95. 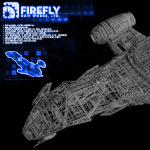 That’s right, for just $9.95 you can take Serenity with you, where ever you go. Hey there Core-Techs – we’re all still recovering from the 4th of July festivities here at the Ship Works, so just a couple random bits for you today. Also, wanted to let you know the Ship Works was closed in honor of the U.S.A.’s b-day celebration, which is why no FX Friday last Friday. However, we will pick up our regular publishing schedule this week and might even look to having a special update this Friday!